Leno 6.5/10 | Great save to keep it at 1-0 midway through the first half. Could do nothing for their goal. Very little to do in the second half. Sokratis 7/10 | Relatively comfortable nights work for the Greek defender. Didn’t really put a foot wrong other than getting booked for a rash tackle. Koscielny 7.5/10 | Superb block to deny a goal-bound effort which would have made it 1-1 and made it 3-1 to Arsenal shortly after half-time. Monreal 6.5/10 | Quietly went about his business in the back three and was solid when he moved to left-back in the second half. Jenkinson 7/10 | Lovely to see Jenks make his first league start in over two years and he didn’t disappoint. Solid enough defensively and was always keen to get forward down the right. Great to see. Torreira 7/10 | Another solid performance from the Uruguayan terrier. Covered plenty of ground in the middle of the park. Guendouzi 7/10 | Got caught out badly on the edge of the area to gift Bournemouth a goal to make it 2-1 but fought hard to make up for his mistake. Kolasinac 7/10 | Set up Ozil for the opener to bag another assist. Always a threat down the left being being replaced by Iwobi in the second half. 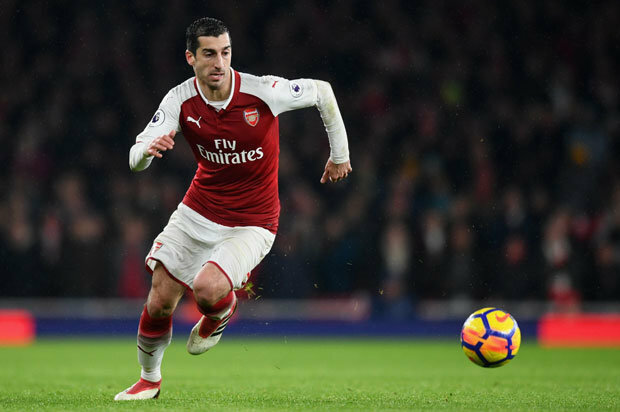 Mkhitaryan 9/10 | Excellent performance. Scored one and set-up for Koscielny to make it 3-1. Wonderful run and pass to set-up Aubameyang for 4-1. Hitting some real form right now. Ozil 8.5/10 | Superb finish to open the scoring early on and set-up Mkhitaryan with a lovely assist for 2-0. Was also involved in the build-up to the third goal and hit the post shortly after. Has to start for us regularly now. Aubameyang 7/10 | Was on the edges of the match for long spells in the first half but used his pace to devastating effect to race clear to make it 4-1 after the break. Not his best game but still got among the goals. Iwobi 6/10 | Saw plenty of the ball after coming on for Kolasinac. Lacazette 7/10 | Made it 5-1 with a lovely free-kick. Great to see him getting on the score-sheet again. Suarez 5/10 | No real impact. Looked scared when on the ball.